Lots of people thru hike the Appalachian Trail. We see hundreds and hundreds pass through our shop each week during peak season. We love all our thru hikers who pass through but every now and then, there is an individual or a collection of individuals that really catches your attention. The fellas making up Pack It Out were just that sort. Meet Goose, Cap and Spice! When they passed through Mountain Crossings on a rainy morning, they had already collected up about 75lbs. of trash! 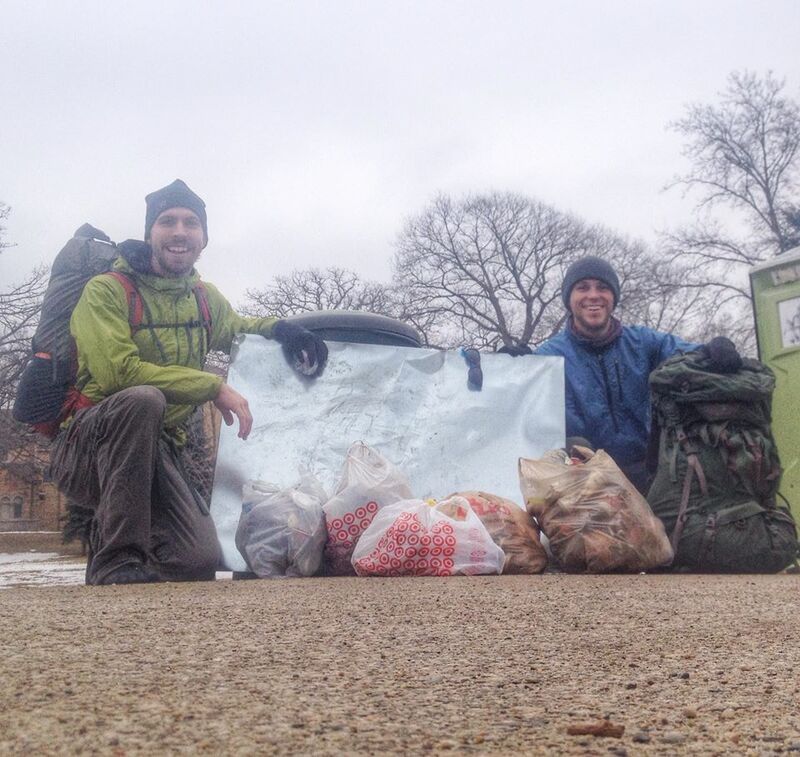 That’s right, they are thru hiking the Appalachian Trail and focusing on packing out AS MUCH trash as they possibly can! How’s that for some Trail Karma? I sat down and had a little mini interview with Cap. He and Goose had grown up together in Georgia and Cap had met Spice while sea kayak guiding in Wisconsin. When Cap decided to take on the beast that is an AT thru hike (along with the task of cleaning up the trail) both these buddies decided to jump in on the fun. A photo of Cap and Spice snagged from their facebook. Our mission is to inspire a sense of environmental stewardship within our communities by raising awareness for litter conditions along America’s trails. Check out their Facebook Community HERE where you can share your own stories of Packing It Out and follow them on their AT journey on their blog HERE! 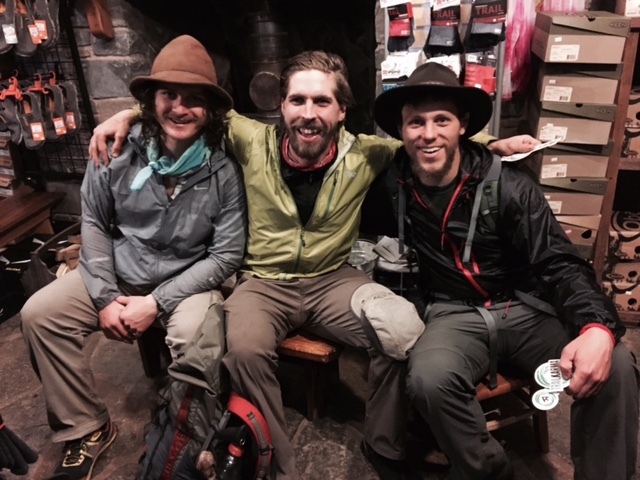 Thank you Cap, Goose and Spice for taking on this huge project that means so much to those who love the Appalachian Trail. Folks like you and those who you inspire will be the ones responsible for keeping this lovely trail free and unregulated! This entry was tagged appalachian Trail, backpacking, hiking, Leave No Trace, mountain crossings, Neel Gap, Pack It Out, Thru Hike. Bookmark the permalink.